Located in southern France, region Languedoc-Roussillon, Hérault department. 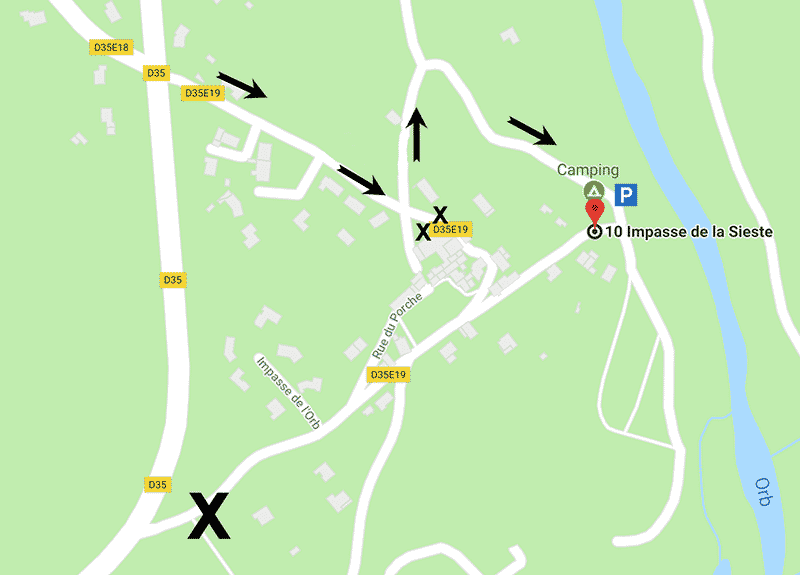 You will find the camping site near the village of Véreilhes, commune La Tour-sur-Orb. The river Orb runs next to our camping, which offers 70 quiet camping lots. Shade trees provide coolness in the summer heat. Bédarieux (warehouses, market): 10 km. Pézenas (beautiful historic town, lots of shops): 43 km. The nearest airports are Montpellier and Carcasonne. You can take high-speed trains to Beziers, which is 44 km from Campign La Sieste. In Béziers, you can take an SNCF train to Bédarieux (takes about 1 hour).